There's no turning back now. That was the message from Navy Secretary Ray Mabus after Defense Secretary Ash Carter decided to ignore the advice of his military chiefs and bring women into the most dangerous, grueling roles in the service. Mabus, who's ushered in years of the president's extremism, dropped by Camp Pendleton this week to start paving the way for the integration that Marines openly oppose. "Once you've set the standards, once you've made them job-related, [then you say], 'We are not going to change no matter what.'" Despite a year's worth of research about the catastrophic effects of opening infantry jobs to women, Mabus and Carter are charging ahead with a change that everyone agrees will lead to the drafting of women. "Marines," the Navy's top civilian told a crowd of 1,400, "we're past the decision now. The Secretary of Defense has made the decision. Now we're into implementing." Shrugging off criticism from veterans like Senator John McCain (R-Ariz.) who argued that the branch is ignoring the impact on military readiness, Mabus pressed on as chief cheerleader of the new policy. "We are stronger because we have Marines of color," he told the troops sitting cross-legged on the concrete. "Same thing when 'Don't Ask, Don't Tell' got repealed. We're stronger because we don't judge people by who they love but on whether they can do the job as Marines. A more diverse force is a stronger force." Unfortunately for Mabus and his boss, the evidence doesn't exactly bear that out. Then, as now, political operatives openly rejected the opinion of military leaders with battle-tested experience, who cautioned that we were opening up our troops to grave danger. Five years of sexual assaults, suicides, recruitment woes, and low morale later, we see they were right. As with DADT, Tuesday's pep rally was accompanied by the usual promises that the military wouldn't lower physical standards or push for gender quotas. Of course, Congress was assured that opening the military to people who identify as homosexuals wouldn't trample religious liberty or pave the way to transgender service in 2010 too. We all see how that turned out. General Neller has been blunt about the obstacles of introducing women to things like hand-to-hand combat, after political appointees ignored his advice about the negative consequences. "I have concerns about retention. I have concerns about injury rates. I have concerns about propensity to re-enlist, career progression. I have concerns about what's gonna happen if the numbers are low," he told the Senate Armed Services Committee soberly. But, he recognized, "We have a decision and we're in the process of moving out. We will see where the chips fall. And, again, our hope is that everyone will be successful. But hope is not a course of action on the battlefield." Marines at Camp Pendleton gave Mabus's speech mixed reviews. The ones who agreed to be interviewed admitted that it's been difficult to adjust to so many changes. But it's the Pentagon's inflexibility that has some concerned. Mabus insists the decision is "irreversible." Says who? When did the military stop reversing decisions that undermine their mission? The day this president was elected? Fortunately for America and anyone interested in ending the real war on women, Obama's days of social engineering are numbered. "We have had enough with political correctness -- especially in the military," Senator Ted Cruz (R-Texas) has said. "Political correctness is dangerous, and the idea that we would draft our daughters, to forcibly bring them into the military and put them in close contact -- I think is wrong, it is immoral, and if I am president, we ain't doing it." 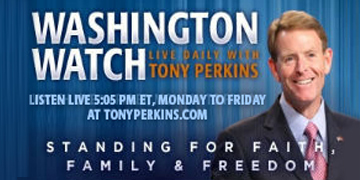 DISCLAIMER: Tony Perkins has made an endorsement in his individual and personal capacity only, and it should not be construed or interpreted in any way as the endorsement of FRC, FRC Action, or any affiliated entity.